It's officially that time of year when, at least for me, the winter blahs have kicked in. Since spring is (waaahhhh) so far away still, I have to find little things about the cold months to enjoy and small ways to celebrate in an effort to stay positive. So today, I decided to celebrate winter (freezing temps + grey skies and all) by teaming up once again with our friends and long time Bubby and Bean partners Gaia Conceptions for another seriously amazing giveaway! 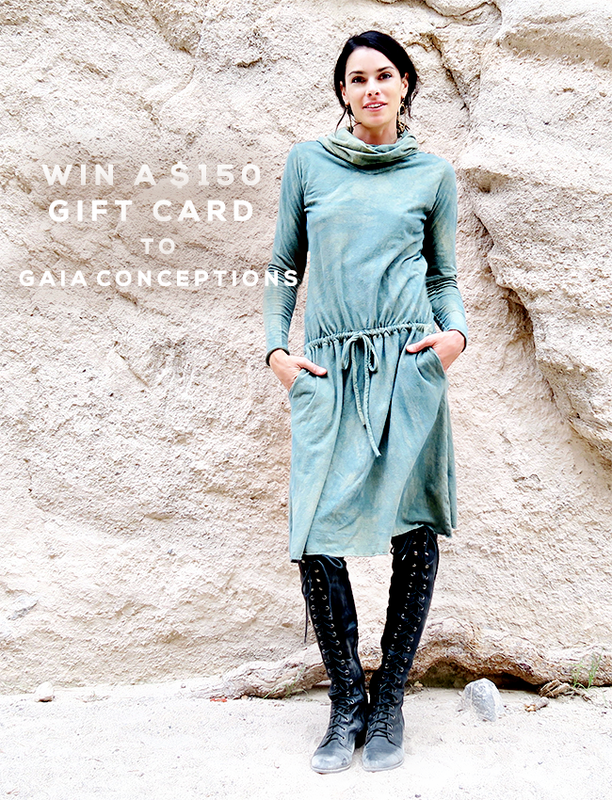 One lucky Bubby and Bean reader will receive $150 to spend in Gaia's online shop, which features endless styles of truly stunning eco-friendly clothing made by hand in the USA. They have hundreds of styles to choose from, each one of which is custom created to your size, color choice, and fabric selection. As I've mentioned before, Essley and I are both proud owners of several their gorgeous designs. And we're excited for one of you to get some Gaia threads of your very own! This giveaway will run for one week (through January 21, 2018), and is open to Bubby and Bean readers worldwide. All entries from the Rafflecopter form above and Instagram will be combined. A winner will be randomly chosen via Random.org and announced here shortly after the end of the giveaway. UPDATE: Congrats to Katelyn Noske/@mindfullmamma. You were our randomly chosen winner! Please be on the look-out for an email with more information. i'm getting error message on the 'Like and leave a comment on the Gaia Giveaway photo on our Instagram.' link. Thank you for running this again Melissa! 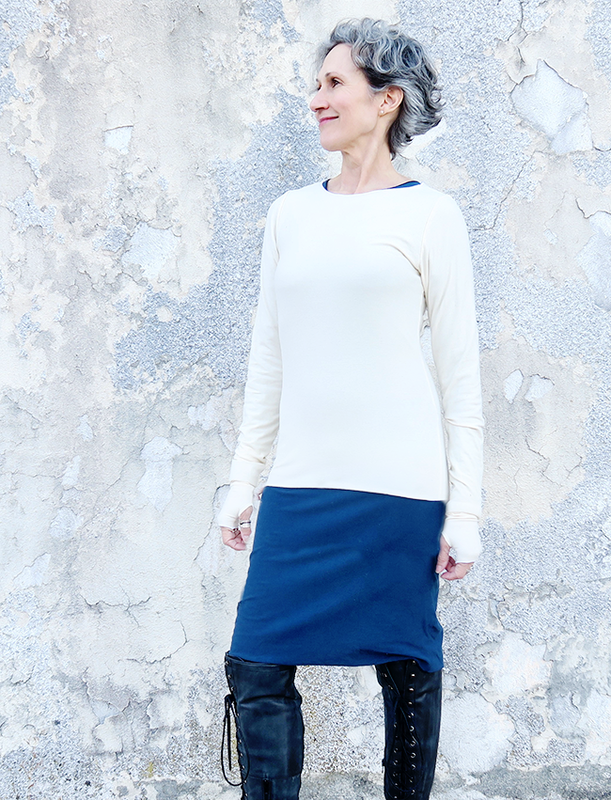 Solstice Simplicity Tunic Jacket and I love all the color choices! Fingers crossed! 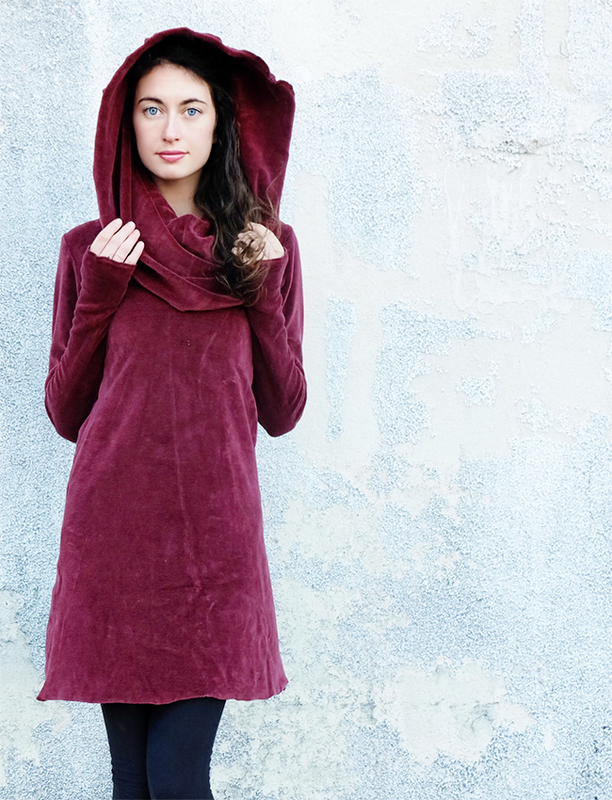 I love the howrah hooded perfect pockets short dress!! These clothes are so cute!!!! It's such a hard choice! One of my favourites is the gorgeous Super Cowl Simplicity Below Knee Dress. All these clothes and great styles are great. I love the Mullet Wanderer Below Knee Skirt. I love the drawstring halter simplicity short dress! I love the Solstice Simplicity Long Jacket!